The Gangnam District gets its name from its actual location, which literally means “south of the river”?in this case, the Han River. Considered as the third largest district in Seoul, the Gangnam area recently came to worldwide prominence because of the song “Gangnam Style” by Korean pop star Psy. 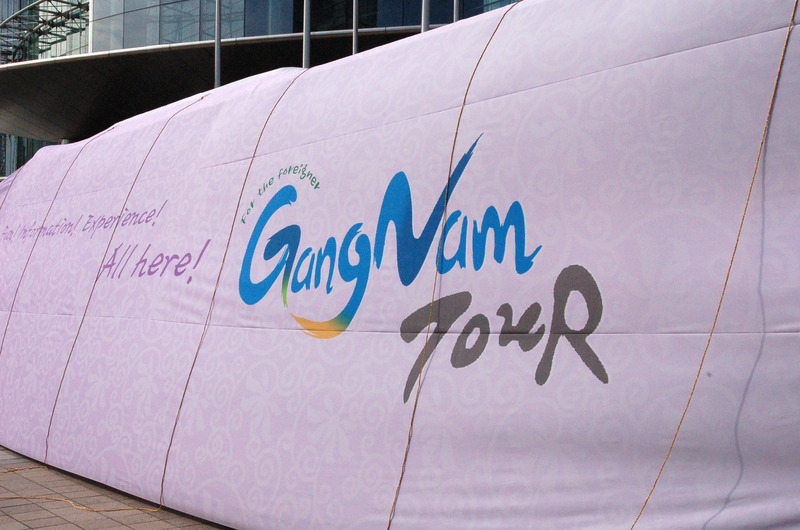 As the song became a global phenomenon, the Gangnam District’s popularity increased as well, creating a resurgence in tourism and visitors. The affluent Gangnam area can be best described as a mix of upscale and trendy with a dash of modern technology, with many high-end shops, chic cafes and conveniences that complement the digital lifestyles of its residents. In recent years, Gangnam has also become a shopping mecca, renowned for its fashionable boutiques, galleries and restaurants, particularly those that line Garosugil in Sinsa-Dong?a 700m promenade with ginkgo trees on both sides of the street that change color as the seasons change; it’s been called Seoul’s version of a European street or SoHo in New York. Another notable fashion street in the Gangnam area is Rodeo Street in Apgujeong, which is likened to Rodeo Drive of Beverly Hills. Here can be found many luxury international and designer brands, and this is generally the place to showcase the latest fashion styles. Aside from fashion, Gangnam is widely known for medical tourism and its array of beauty clinics and premium medical centers where you can get everything done, from cosmetic surgery to treatment for serious medical conditions. The Gangnam Station area is where you can find the integration of cutting-edge technology into everyday lives, which can be seen best along Gangnam Boulevard with its media poles, which are tall signage systems that act as wi-fi hotspots and are equipped with LCD touchscreens. The media poles allow people to browse for information, search maps, play games, and even take pictures that are automatically sent to your e-mail. Make the most of your Seoul visit with any of our affordable tour packages; contact us at All Seoul Tours today, and find out more on how to make your tour of Korea memorable.